Is your company/organization looking for reliable and affordable on-site Mask Fit Testing Services? 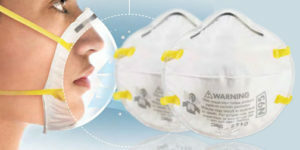 Synergy Gateway is a leader in on-site Respirator Mask Fit Testing and N95 Mask Fit Testing in Ontario. Our experience says it all – we have fit tested over 100,000 people since 2003! We provide Mask Fit Testing services to Universities, Colleges, Healthcare organizations and manufacturers across Ontario. Our program follows the CSA Standard Z94. 4-11 for the selection, use and care of respirators. Our clients consistently book their on-site group mask fit testing annually because we offer exceptional value, education and flexibility in our program. Our solutions provide compliance and peace of mind with just one contact. Our newest and most cost effective program geared towards maximizing your organizations respiratory compliance! We bring our training to your location and deliver our highly effective Mask Fit Testing training program at a fraction of the cost of traditional training. Compliance Maintenance saves an average of 40% off traditional Mask Fit Testing programs! CLICK HERE for a no obligation quote or contact our sales department to learn more. Our core Mask Fit Testing program is delivered to organization across Ontario 7 days a week. We offer easy to amazing tools including online schedulers to make your mask fit testing experience absolutely seamless. From estimate to program delivery, we have you covered every step of the way. Our Mask Fit Testing programs saves an average of 30% off traditional providers! CLICK HERE for a no obligation quote or contact our sales department to learn more. Standardized training, Online scheduling tools, Compliance reporting, Education and more…. Available any day, any time!